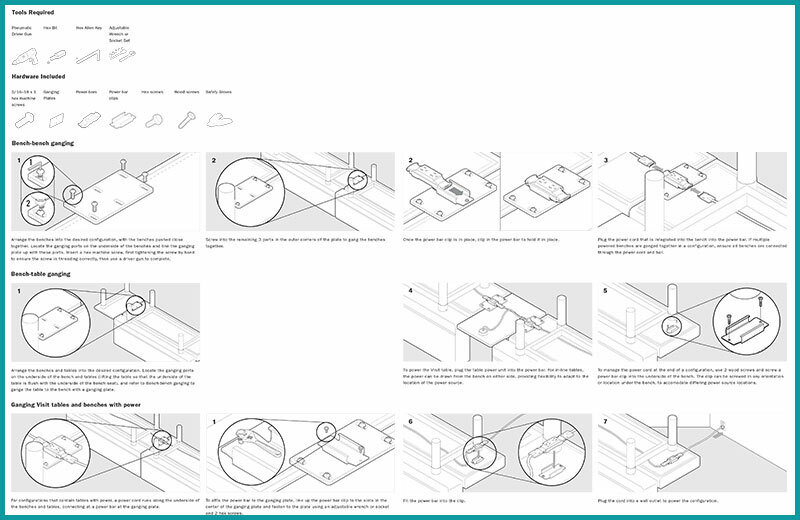 Step by step illustrations for a table installation instruction manual including a parts list. 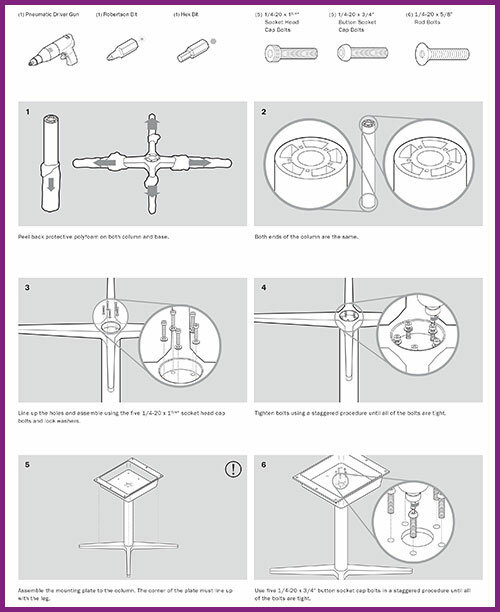 An instruction manual illustrating the step-by-step table assembly and electrical connections for an office setup. A step-by-step instruction manual on how to install hidden wiring for a boardroom table. 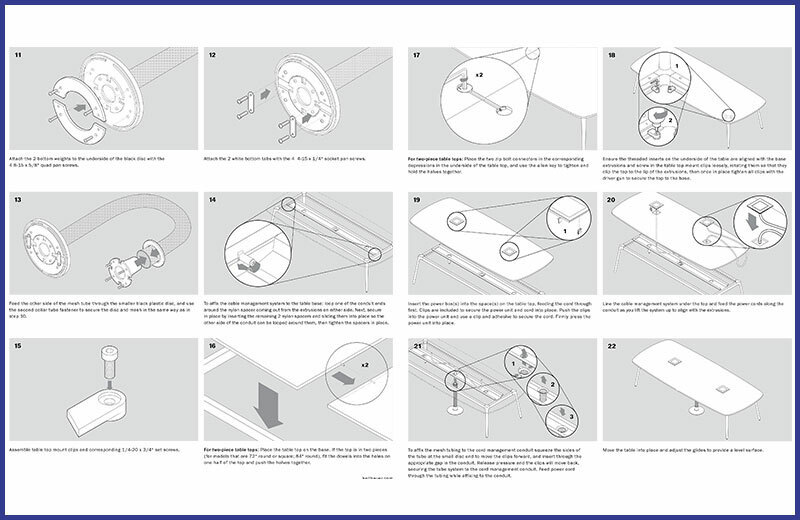 Client: Keilhauer: Step by step illustrations for a table installation instruction manual including a parts list.